Vilnius is Lithuania’s capital city – a vibrant, compact, green, young and old, which counts its history since Middle Ages. The date when Grand Duke Gediminas invited European merchants to his new capital in 1323 is considered to be the accepted date for founding Vilnius. Vilnius has always been a multilingual and multicultural city with its rich history, unique architecture, friendly atmosphere and growing number of visitors and international students. The modern culture of Vilnius fully reflects the diversity of city life offering evenings of classical and jazz music, opera, ballet, modern dance performances and theatre performances in several theatres of Vilnius. There are art galleries and a modern art centre where it is possible to get to know the works of Lithuanian and foreign artists. 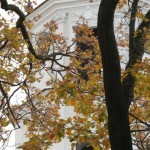 Vilnius is famous for its old beautiful churches also. When you are in Vilnius it’s a must to visit the Old Town. It is the historical centre of Vilnius and it is one of the largest in Eastern Europe. Valuable historic and cultural heritage is concentrated here. Due to its uniqueness the Old Town of Vilnius was inscribed on the UNESCO World Heritage List in 1994. The Lithuanian capital is famous for its commercial fairs and exhibitions also. Vilnius stretches along both banks of the fast flowing Neris River, and is set among hills and pine forests. When staying in Vilnius you have a good chance for relaxing because the city is filled with recreational areas. Greenery prevails in over 40 % of Vilnius’ area. There are many restaurants and cafés where you can find a great variety of different foods, from Lithuanian to East European or North American dishes. We look forward to meeting you in Vilnius!